Social Media Marketing for Dental Practices - Facebook, Twitter, Google Plus Ads for Dentists. Social media is an amazing and dynamic platform where your business can thrive and gain greater grounds in your local community. It is a world where there is continues inflow of content/information. It is a web through which people are connected to one another. An aggressive marketing strategy in the social space can bring about a positive change in your business. What social media marketing can do to your business? 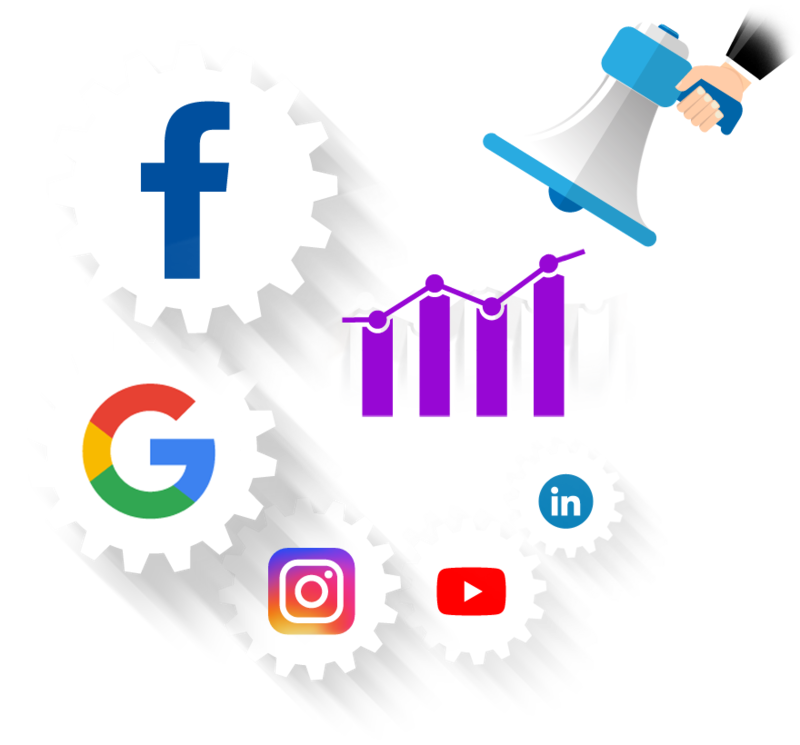 The basic objective and goals of Social Media Marketing are same as is the case is with Social Media Optimization which includes increasing brand awareness and improving community engagement. Apart from these goals there are few other goals that can be achieved through a well-planned Social Media Marketing campaign. The biggest benefit of social media channels is that people are in a network. Therefore you can be more successful in reaching out to higher number of audience. Organic activity still serves as the foundation for a brand's social media presence like Facebook, Twitter, LinkedIn and more and is vital for developing relationships with current and potential customers. While it may be tempting to pursue paid social media marketing tactics to bring in new customers, those customers won’t stay for long without a solid organic presence. Our team prioritizes making content interesting, unique, and engaging before amplifying it with Facebook advertising. We use data to help inform the content formats – such as blog posts, videos, and a wealth of other assets – that will resonate best with our clients’ targeting your local audiences, improving Ad post likes, AD post reaches, Website clicks, Leads, Traffics and etc.